WHY IS IRISH EARTH IMPORTANT AT FUNERALS? Handful of Home lets the Irish in America honor their cultural roots at one of the most important moments of their lives. 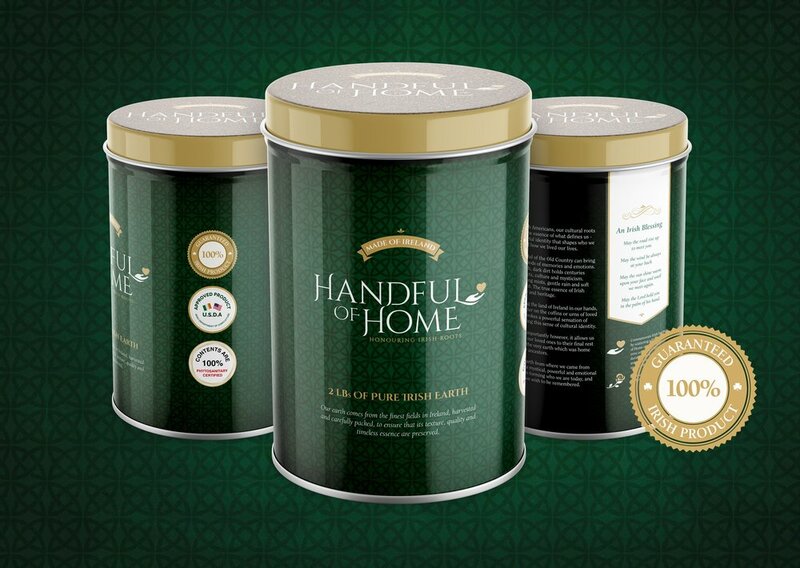 This beautifully designed Ceremonial Canister filled with pure Irish earth allows families to place a handful of the Old Country on top of the casket or urn of a loved one, laying them to rest on the land of their forefathers. A new take on an old tradition that has meaning beyond words. All of our products contain 100% pure Irish earth. We work with local farmers across Ireland to ensure that we only harvest top quality earth in the most sustainable ways possible. Our earth is collected from a number of different locations across the Emerald Isle. Our processes are kind to the land, and friendly to the environment.